ALR Events, LLC is a full-service global meeting, incentive and special event company, based in the Phoenix-Scottsdale area. Our company prides itself on a track record of flawlessly executed events, the means to identify and secure the best vendors, suppliers and support professionals in the business and the credo of partnering with clients throughout the planning process to understand their goals, objectives, culture and way of doing business. ALR Events experience includes management and operations roles on the supplier, hotelier and planning sides of the event coordination process, which makes us uniquely savvy and adept at all phases of negotiation, production, implementation and management. ALR Events has planned and executed programs from 10 to 6,000 attendees in Europe, Mexico, the Caribbean, Asia, Africa, Canada and of course, the United States. Our focus is on our clients and providing each of your guests with a personal experience that reflects your company's individual goals, objectives and traditions. 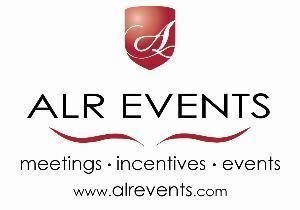 Let ALR Events make the difference in your next event!